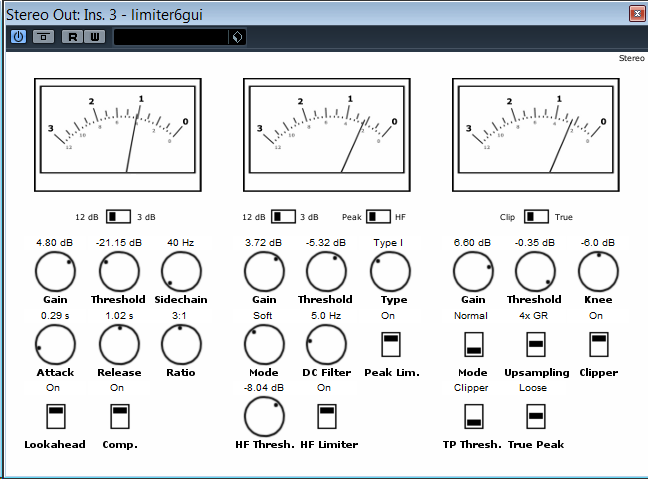 Just completed draft GUI for new limiter plugin. The next step is try to use it in some projects and make presets. And also to determine unneccessary functionality. After that the plugin will be ready to test. Here’s some screenshots to show the progress. It’s -20 C (-4 F) behind the window, a lot of snow and I’m really disappointed with peak limiter module. So I did a try to enhance it. 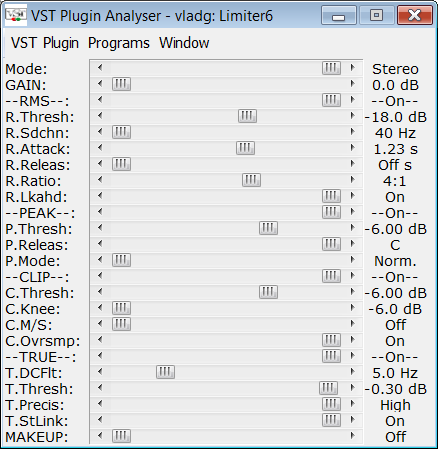 You can check this [peak limiter VST plugin (x86,x64)]. I think it sounds better this time. Now I can continue to build up my new mega-limiter from all modules I have (see previous post). The codename for this project is now “Limiter 6” (in japanese it sounds like “rimitta roku” which I like). I’m continuing my work. Good luck!